The low high chair is manufactured in the UK using sustainably sourced high quality birch plywood and coated in a child-friendly, water-based lacquer that helps the chair to retain its natural wood appearance. The low high chair fully conforms to the relevant safety standards. It features an innovative two stage locking mechanism that makes the chair easy to fold away for convenient storage as well as a durable white plastic tray and a full safety harness. 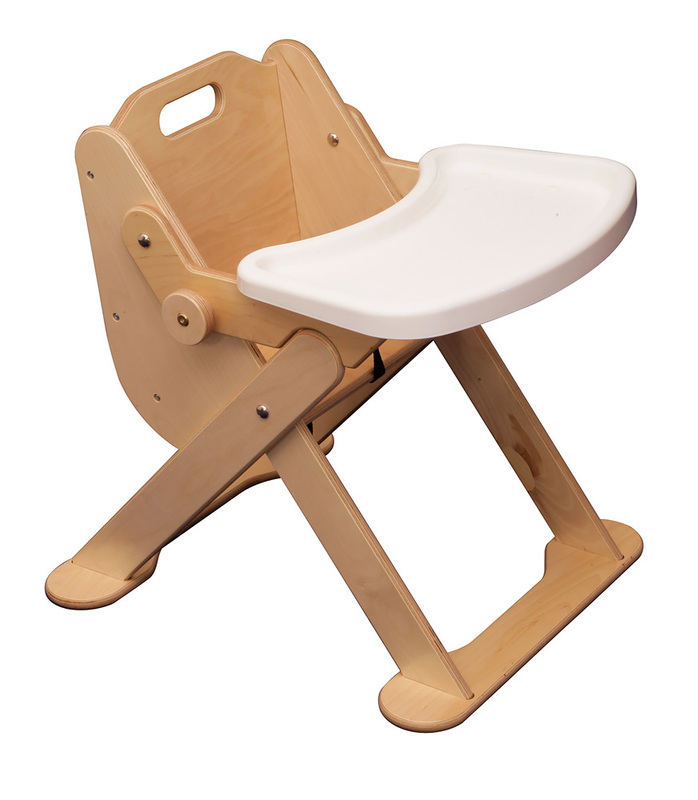 This makes it an ideal piece of wooden early years' furniture for both nurseries and the home.